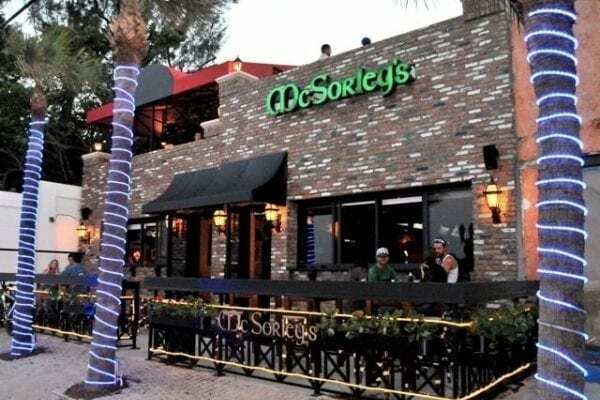 McSorley’s is an Irish Bar with a twist, featuring a Beach Pub, Game Room and rooftop Sun Deck not to be missed. The Beach Pub is just steps from the sand. If you’re wandering off the hot beach in your flops and bikini looking for an ice-cold bucket of beer or a cool drink and looking to shoot a game of pool, then you’ve come to the right place! Just because you’re on the beach doesn’t mean you have to miss your favorite games! There are 30 HD flat screen TV’s, including 3 – 10 foot HD projection screen with the full sports package including the NFL, NHL, NBA and MLB tickets and soccer channels! We also have FREE Wi-Fi and Live Bands! 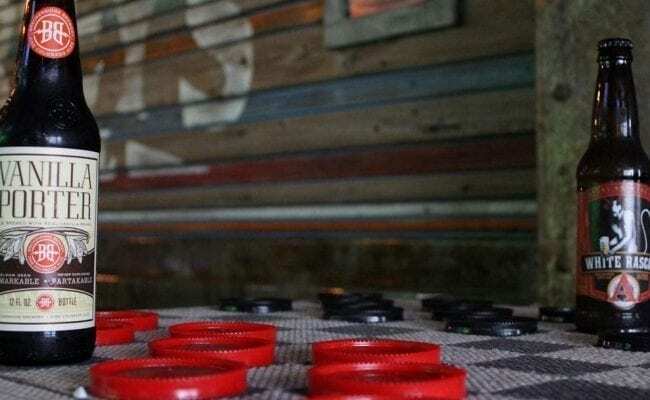 The Game Room is a great place to have fun with friends while enjoying a bucket of bottled beer or the coldest pitchers of your favorite draft. 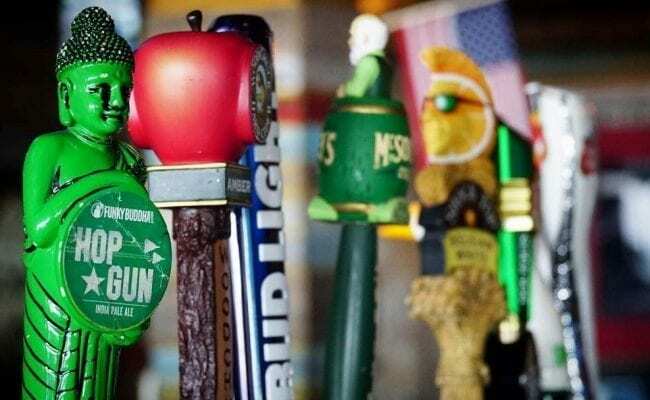 Come alone or bring your friends, as there are good times for everyone in the McSorley’s game room which features eight HDTV’s, Pool table, Dartboard with steel-tip darts and 3 official beer pong tables. The Upstairs Lounge is casual with an upscale feel. McSorley’s lounge is a full service bar. We have an incredible wine list and you just can’t beat the prices! The Lounge is very relaxing, with comfortable benches and stools and excellent service. You’re first impression as you come up the stairs will be the wonderful woodwork in the coffered ceiling, the details within the crown moldings and the beautiful raised panels on the wall. 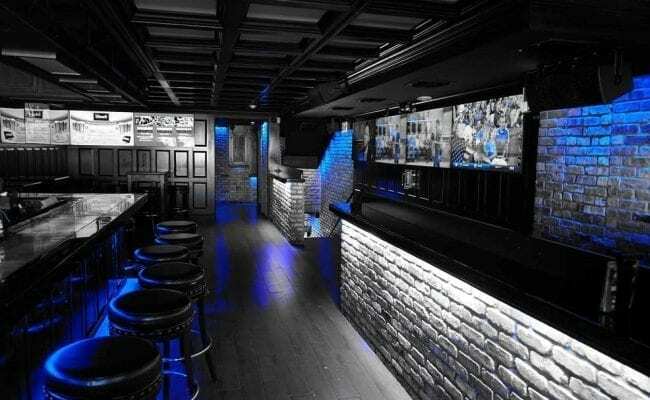 The bar itself is spectacular! 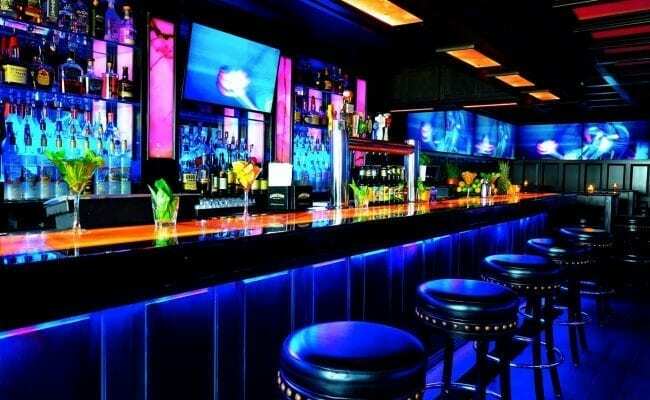 Made of Onyx and under lit with mood-setting LED lighting makes the bar top glow throughout the night.